Multi-Colour dye sublimation printed economy table throws are the solution if you want a white table cloth with a more complex print on the front like multi colour or Pantone PMS logo, full colour graphics, photos or gradient blends. We dye sublimation print a maximum area of 37" wide x 19" high onto the front panel of the white table throw (note that coloured throws not suitable for this print method). For limited use and tight budgets, our basic dye sublimation custom printed table throws are a cost-effective solution. Even though we call them "Basic" printed table throws - they're not cheap or poor quality products. Our economy dye sublimation full colour printed table throws have many features found in some suppliers "premium" printed table covers. - table throw dimensions are approximately 130" wide x 88" high; designed to fit on a standard 6' Rectangular Table with table dimensions 72" wide x 30" deep x 29" high. There may be some minor size variance but the throw will come to within 2” of the floor on all sides. For limited use and tight budgets, our economy dye sublimation printed table throws (tablecloths, table covers, table drapes, or whatever you call them) are a cost-effective solution. 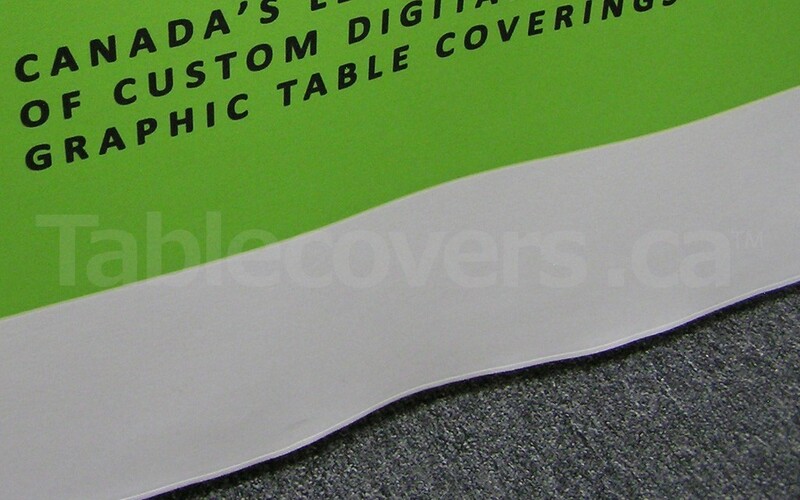 Even though we call them "Economy" dye sublimation printed table throws - they're not cheap or poor quality products. In fact, our economy dye sub table throws have many features found in some suppliers "premium" table covers. These closed back (4-sided) economy table throws are made from 100% polyester woven fabric. Our table throws are machine washable for easy care, and have professionally serged edges sewn all around so the edges won't fray. They are 4-sided throws, so they are ideal for centrally-located tables which will be viewed from all directions. The fabric covers the top, front and sides and also extends down to the floor at the back of the table, effectively covering unsightly items stored under the table. Your simple logo or text is permanently dye sublimation printed in virtually unlimited colours (full colour photos / multi-colour logos) directly onto the front of the plain table throw. The maximum print area is 37" wide x 19" high and this provides a nice visible branding size for most trade show table cover logos. 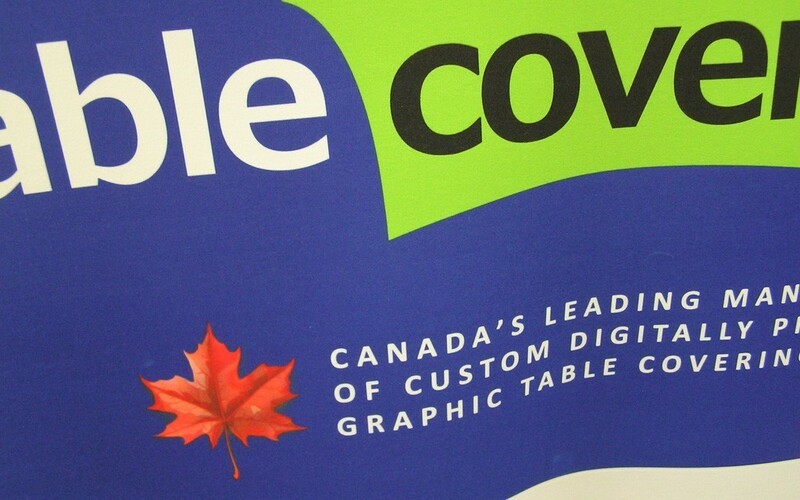 The dye sublimation printing method is the same process we use for our top quality Canadian-made custom table covers, but we print these economy throws using ready-made imported table throws and you are limited to a smaller print area. Our economy dye sub table cloths are washable, can be ironed or dry cleaned and are incredibly durable. The colours are bright and vibrant and make an impact at any event. We stock these economy table throws in two sizes: to fit 6 foot or 8 foot wide rectangular display tables. This model is made to fit a standard 6 foot folding table which is 72" wide by 30" deep by 29" high. We also have throws for 8 foot wide tables. Since they are an economy model there may be some minor size variation between throws. They won't fit as perfectly as our Canadian made custom table covers but they are generally designed to fit on standard folding exhibit tables, coming within 2" of the floor. Many customers are concerned about whether the table throw will fit the table they happen to get from the trade show or conference. You don't need to worry about it not fitting because all of our table throws are adjustable so they can fit on different table widths with just some minor tucking under of fabric at the left and right edges of the table. There's no need for messy-looking velcro like inferior "convertible" table throws use. As long as you buy an economy table throw that fits the largest table size you'll need to cover it will also fit and look great on smaller tables. For example, you could get an 8' table throw and also use it on 6' wide tables. We use good quality fabric that is coated to be flame-retardant (we supply a certificate for you) so it meets exhibit hall fire code regulations (passes NFPA 701). This flame retardant fabric is crucial if you plan to use your table cloth in trade show exhibit halls or public event venues, many of which insist on proof of fire resistance. These economy full colour custom printed table throws are usually in stock and complete with custom printing usually ready to ship in 3 business days. They are made overseas and imported by Signs Plus, with custom dye sublimation printing done in our own facilities.They are available only in white fabric with a colour print. 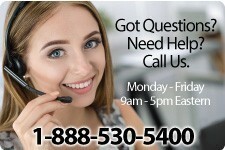 Graphic Setup (layout, design, proofing) work is extra charge if required. You just supply us with your vector format (.ai, .eps or sometimes .pdf) logo and we place it in the template, size it correctly and create a proof for your approval. If you only have a bitmap format logo (.jpg, .gif) then we can vectorize the logo to get it in a usable form, then do the graphic setup as well.